Of the several places around town that made my birthday yesterday quite memorable, my lunch spot definitely stands out. After three months of intent, I finally dined, quite pleasingly so, at the historic Tadich Grill. I expected to be satisfied. My expectation was met, hands down. 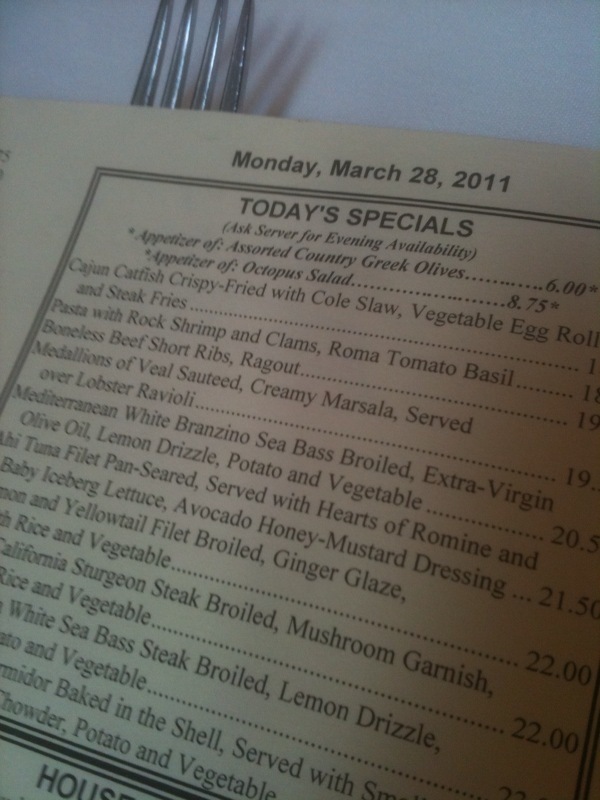 The menu, while interesting in its extensive selection, was unnecessary; I knew my meal selection well in advance. After all, Tadich’s version of my always favorite calf’s liver and onions awaited my comparison to the same dish at Little Joe’s. Both preparations are delicious and unique unto themselves, excusing me from declaring one clearly better than the other. Whereas Little Joe serves thinner multiple pieces in a rich sauce, Tadich presents one very large and thick steak off the grill, adorned by a topping of rich sautéed onions. For any and all of you liver lovers, Tadich Grill is a must. If your palate calls for something else, your menu choices clearly abound. My dining companion, for one, seemed to enjoy his very attractive and ample halibut steak. A Negroni, overflowing in its old-school-sized glass, served as my chosen cocktail accompaniment, though naturally the full bar will accommodate your libation preference. For its decades upon decades of history, Tadich reminds me very much of Hollywood’s Musso & Frank Grill. If you know and appreciate Musso’s, you’ll certainly discover some positive words of your own on Tadich. My next visit will come long before my next birthday, at which time I’ll expect to find even more good to share on the grill. Tadich Grill menus are printed daily.